I’m based in Columbus, Ohio and run a web design agency In Transit Studios which I’ve been building and scaling since 2010. When I’m not running and overseeing that, I’m focusing on my true passion right here at joshhall.co which is helping other web designers learn how to design websites with WordPress & Divi and build their own web design businesses to experience the freedoms that I’ve been fortunate to have as a professional web designer and business owner. 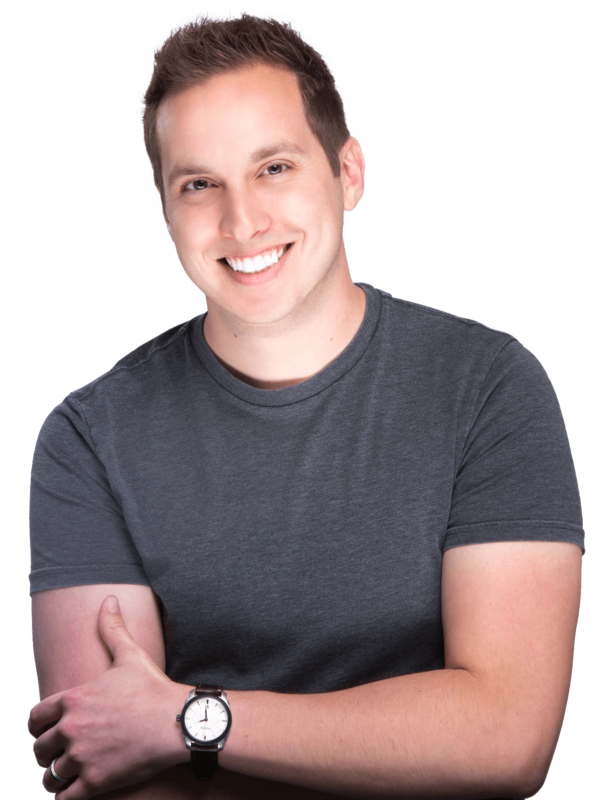 Web Designer & Developer, Business Owner, Creative Director, Blogger, Course Creator, YouTuber, Podcaster, Digital Marketer, Consultant and Coach. Husband, father, drummer in a past life, player and watcher of tennis, big time Blue Jackets Hockey fan and a mentor and friend wherever I can be. Side note: this will be my first podcast episode when I launch that soon! 2009 – Me as a cabinet maker for Creative Mobile Interiors shortly before getting laid off when the auto indusry got hit hard through 08-09. 2010 – Me and my band This Fires Embrace just before launching In Transit Studios as a freelance graphic design business. 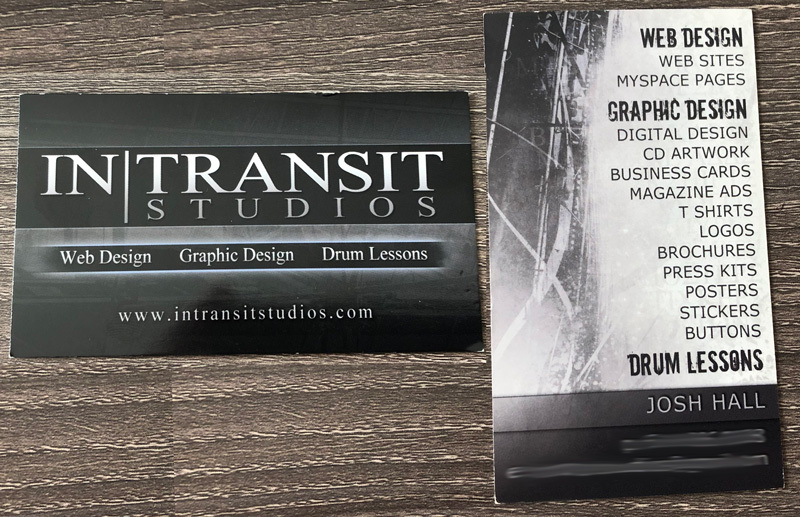 2010 – My first business card…yep you see drum lessons as a service haha. There’s truly hope for us all. 2015 – Getting all married and stuff. 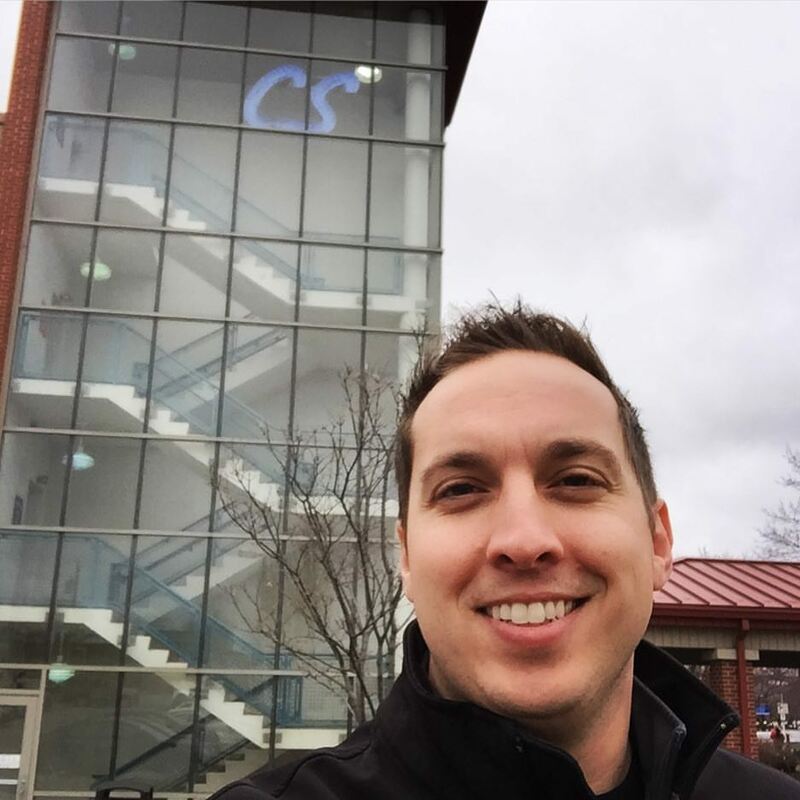 2017 – Going back to speak with students at a CSS class at my old community college. 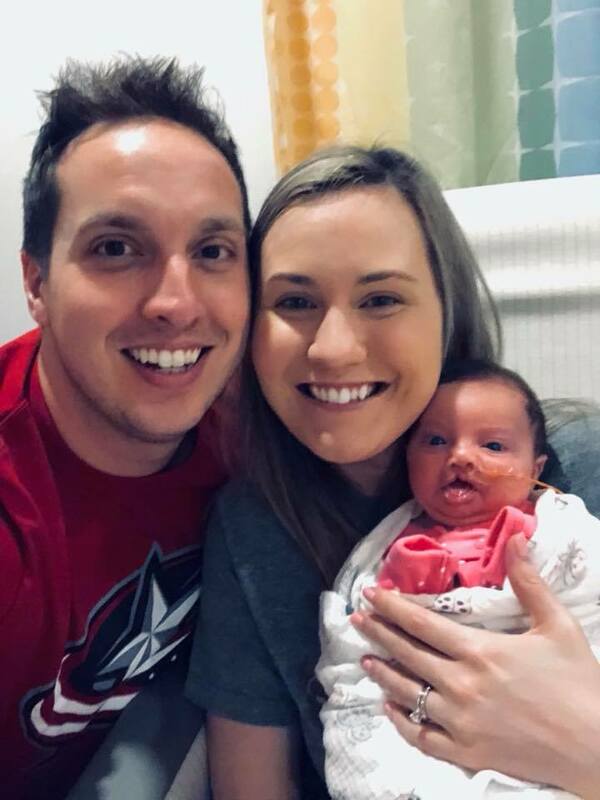 2018 – Family picture from the NICU as my daughter works to feed and gain weight. 2018 – Recent picture of the fam ending a wild year. 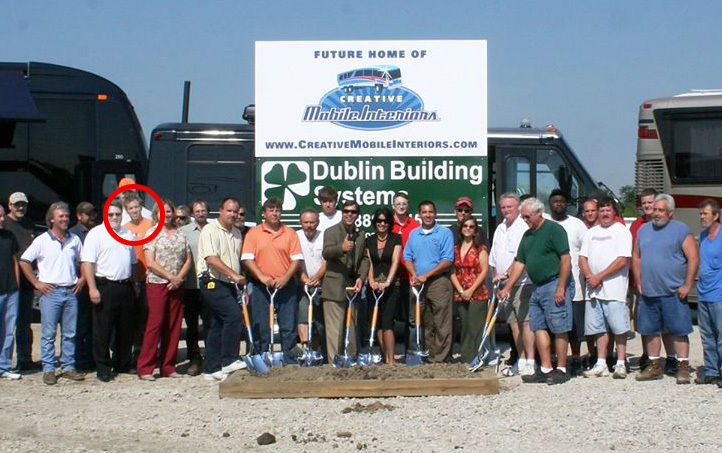 Before I got started in the amazing world of web design, I was a cabinet maker for a tour bus customizing shop here in Columbus, OH called Creative Mobile Interiors. I got laid off in the Spring of 2009 along with many others with the auto industry got hit pretty hard. The day after, I decided to dive into photoshop as I had been experimenting with graphic design and had always enjoyed art, drawing and simply creating things. I started in Adobe Photoshop and Adobe Illustrator doing primarily graphic and print design for bands. At this time, I was also involved with a church that needed help with their website. They asked if I’d be willing to take it over and offered to send me to a couple web design classes at the community college here in Columbus. I accepted and began the first chapter in my web design career! 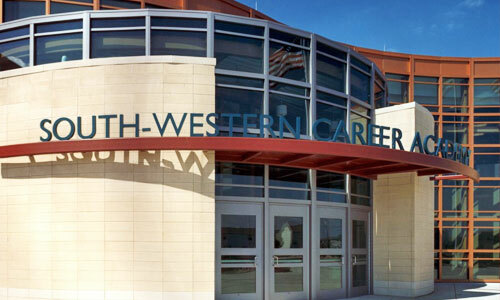 I really enjoyed what I learned about web design at the time (which was custom coding sites with HTML and using Dreamweaver) and decided to pursue an associates degree in Digital Design and Graphics at Columbus State Community College. It’s my only formal education and was very valuable in helping me in all areas of graphic design, basic web design, photography, color management, branding and more. I learned a lot there technically but have always learned better by real world experience, trial and error and plain old failing 🙂 which I was doing on the side by designing graphics for bands. 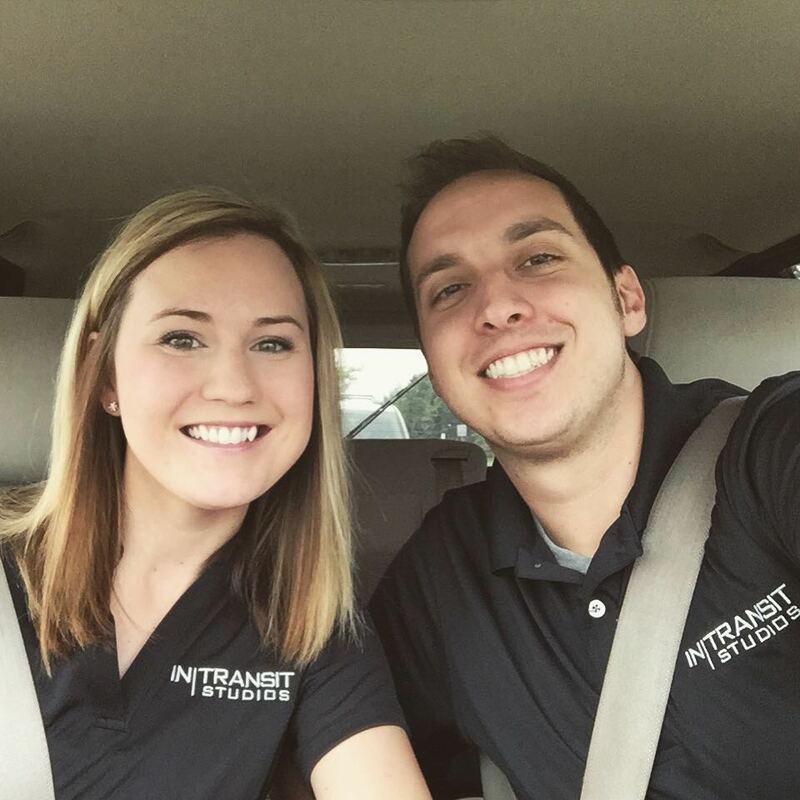 In the Summer of 2010, my band released our third album (In Transit) and after going through several pages of potential business names, I decided to officially call my graphic design business In Transit Studios. I’d love to say there’s a deep meaning behind it, but it mainly just sounded cool while we recorded that record and the domain was one of the only options not taken. So I officially started and registered In Transit Studios in October of 2010. I continued to work with bands for years but ran some ads in Craigslist and started getting some local business and commercial clients. I slowly began to offer basic website design services along with my graphic design services for logos, brochures, flyers, t-shirts, etc. I experimented with WordPress for a site in 2012 as I got further into the web design world and stumbled across Divi while subcontracting for a local web company in 2014. That’s when it all changed. Divi truly became “The one theme to rule them all” for me and I chose to run my business exclusively with that theme. To this day, I have not used any other theme or platform than Divi and WordPress to build a website. At this time, the band was winding down and I had finished my 2-year associate degree while going to school at night and working odd jobs to help pay the bills along with my modestly growing graphic design business. When I graduated I had every intention of either going to a more advanced design program or finding a local design job but with what I had made on the side…I thought what if I did this full time? I decided to go for it and take the business more seriously. I ended up meeting my wife before a meeting at Panera, where she was the catering coordinator and the rest is history. 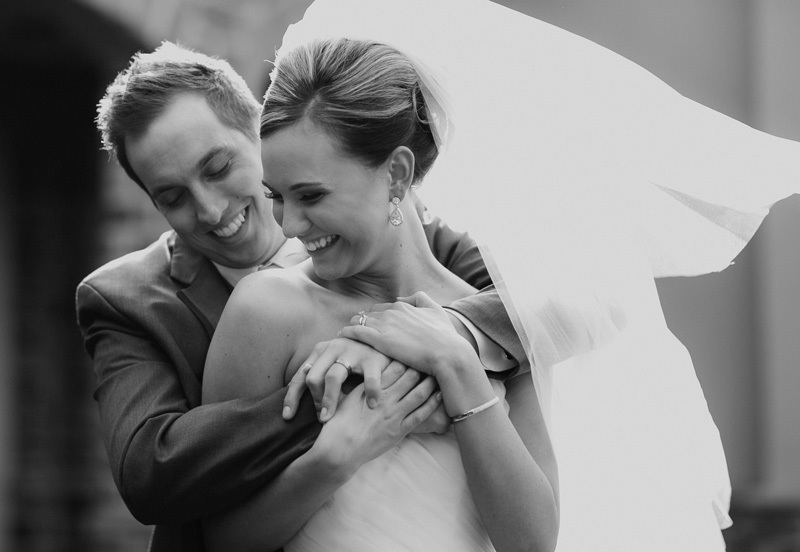 We got married in March of 2015 and she joined the business shortly after to assist with administrative, website updates, print ordering and more. 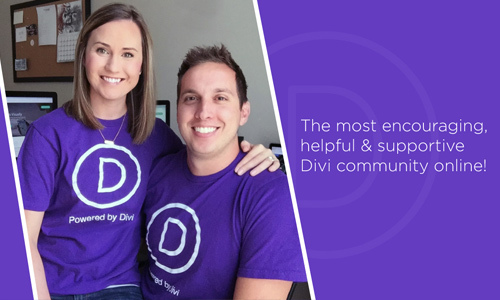 In the summer 2016, I found my way into the Divi community by joining one of the popular Divi Facebook groups. Always late to the part, I found out that there were more Facebook groups for Divi so I joined a couple more. I soon found out that the content manager for Elegant Themes lived in my city. I had no intention of being a blog author but I thought it’d be awesome to meet someone from Elegant Themes so I reached out, and invited him for coffee. We hit it off, talked shop and discussed some great ideas around Divi and the business of web design. Shortly after, he approached me to see if I’d be interested in contributing to the blog. I enthusiastically accepted and began writing for Elegant Themes in August of 2016. I then stumbled across the next chapter in my web design world, a love for writing and a love for helping fellow web designers. And I’ve always found it ironic and somewhat funny that I blog and code for a living now but I got a “D” in typing class in high school. I suppose it goes to show you that it’s not about how fast you type, but what you type. 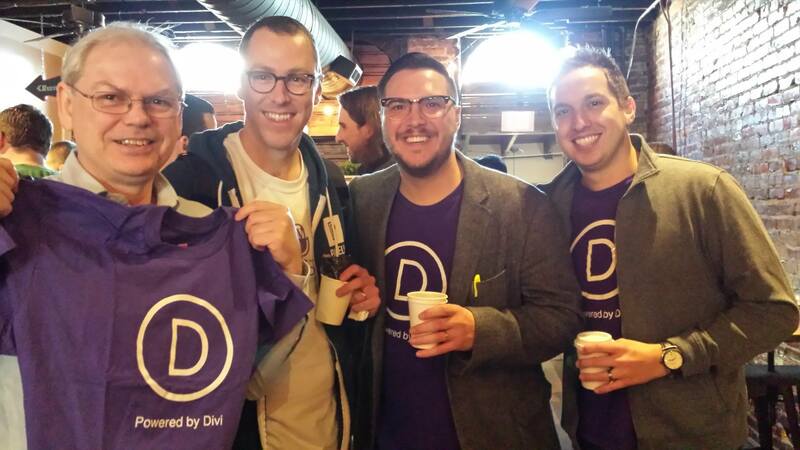 Soon after, I felt a need to connect with fellow Divi Web Designers in a different way than I had seen with many of the other groups. 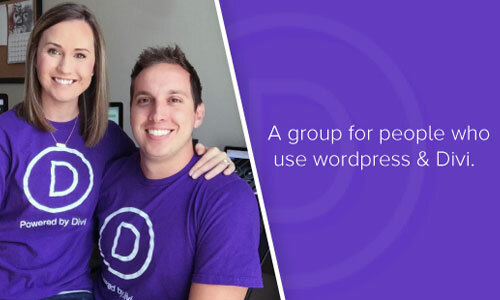 I didn’t see a group geared around the idea of sharing your work, getting feedback and empowering each other to be better designers so I started the Divi Web Designers Facebook Group. Between admining the group and contributing more to the ET blog, I found in myself a new passion to help Divi Web Designers more and more and realized how much I’ve learned since 2010 when it came to starting and running a profitable web design business that gave me freedom, a chance for my wife to stay home and for us to work whenever, where ever we wanted. In the Summer of 2017, I decided to create a home (this site) to archive all my blog posts and launch my endeavor to help other web designers with tutorials, blogs and eventually courses, podcasts and more. JoshHall.co was born in August 2017 and oddly enough, my first tutorial launched on 8/22/17 which is the day we found out we were pregnant. 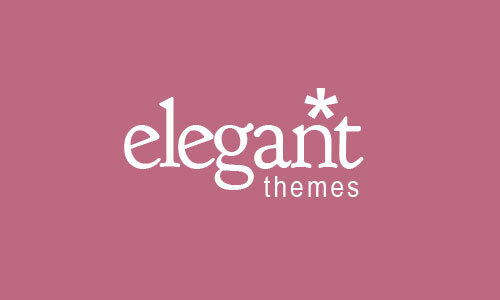 I began creating more and more tutorials and continuing to write blog post series for the Elegant Themes blog. In January 2018 I did a full series on scaling a web design business and did my first YouTube interview series with established web design business owners to hear how they scaled their businesses. 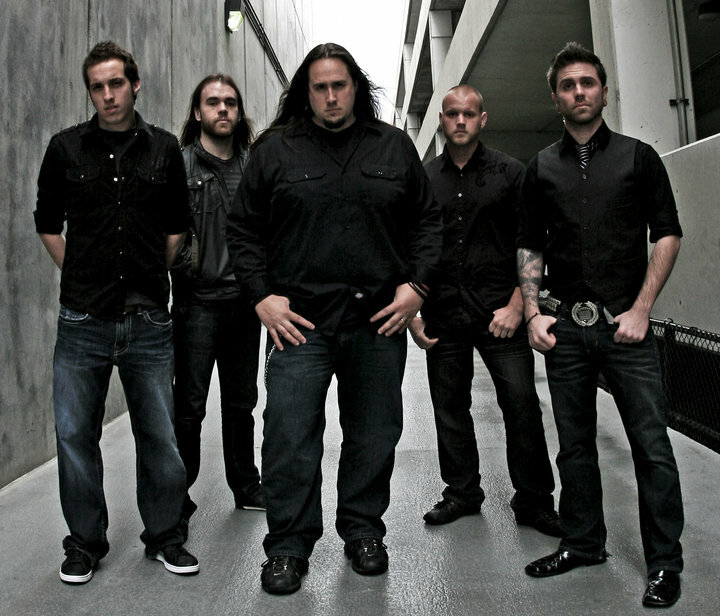 I soon began implementing what I learned from them and the series I wrote and started building my team for In Transit Studios so I could free myself up to work more on JoshHall.co. Thankfully I now had some help with the business via my sub contractors because a real journey was about to take place. 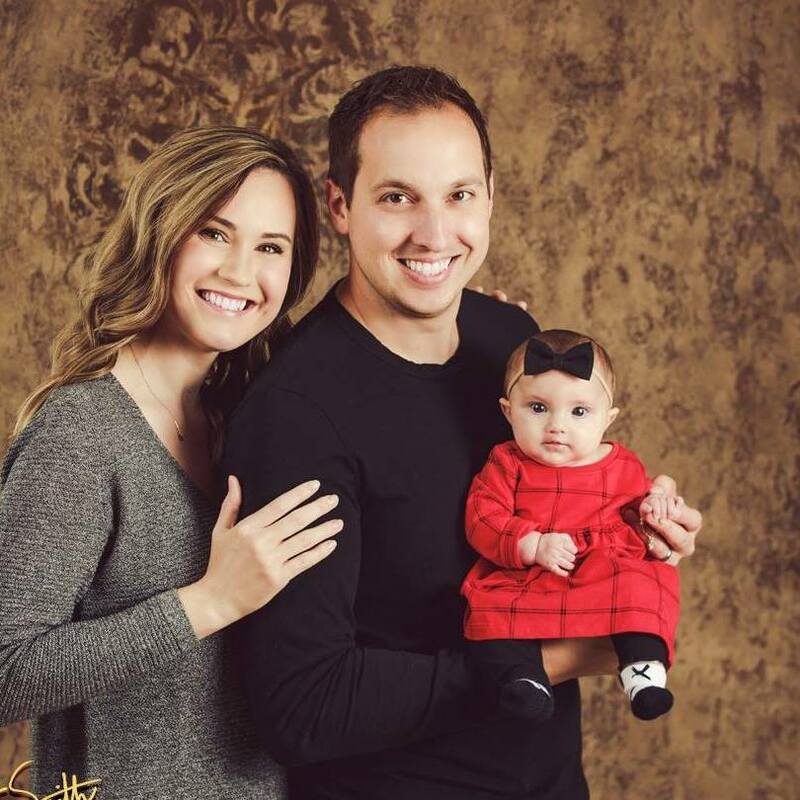 We had a high risk pregnancy and when my daughter was born in April of 2018, she was very small and had a variety of growth and sugar problems. We then (as many of you saw on my Facebook) spent 2 months in the NICU. I worked when I could at a coffee shop near the hospital but had to take a break from tutorials and working on this site just in order to keep up with the business and overseeing the work my sub contractors were assisting with. Thankfully, we got out of the NICU and once things settled down I was able to get back into this endeavor, My plan originally was to offer products, layouts and Child Themes for Divi but I had grown to love doing tutorials and teaching so much that I decided to try creating my first course. 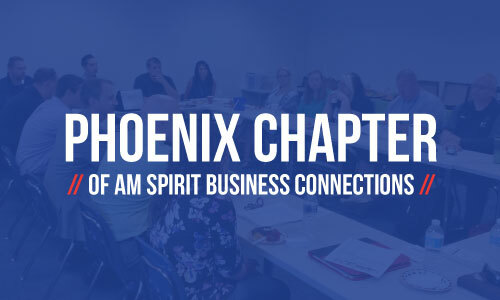 In the summer of 2018, I began creating my Website Maintenance Plan Course and decided that if it went over well and more importantly, if I enjoyed building the course then I would make more. I had been asked about doing a CSS course but I knew that would be a massive undertaking so I wanted to launch my maintenance plan course first as I was really passionate about sharing what I learned in scaling my plan which was one of the main reasons we got through the NICU. Because I had recurring income that covered our living expenses with my maintenance plan. That course launched, it went over extremely well and I found my new found love of building courses and helping others grow their web design business. I then started working on my big Divi/CSS Course and mapped out several smaller courses to follow. While wrapping up 2018 and launching my CSS course, I continued scaling In Transit Studios by hiring my lead web designer, Jonathan (JD), and continuing to subcontract other work to a handful of trusted colleagues when needed. As soon as January 2019 hit I was in course mode creating the next set of courses with my refined process and getting quicker with recording videos, writing the content, etc. I completed 4 courses in 2 months from January – February 2019 and now with a suite of courses and continuing to get back into tutorials, podcasts, blogs and more! That brings us to now. I’m writing this on 3/13/19 so I will update it again soon as the journey continues!